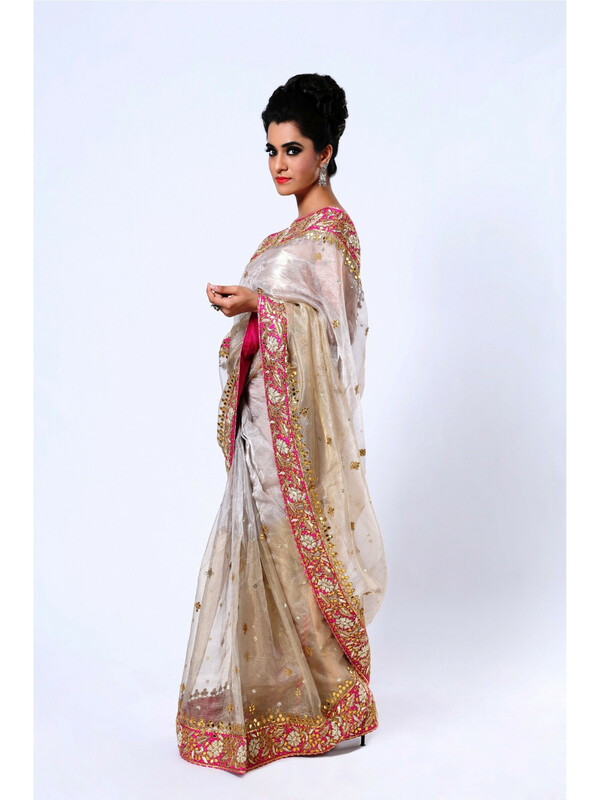 This is a stunning gold saree sure to make you stand out in a croud, suitable for any wedding or party . This exquisite fabric is woven with a blend of silver and gold thread giving it a unique champegne color effect. It has a heavy pink border in Beautiful gota and zardosi work. It is further highlighted with sequence. The saree is finished with a pink fine pipin. It comes with a matching blouse.